The red oak wood borer (Enaphalodes rufulus) can be a serious pest in red oak tree stands. As wood borer larvae feed on red oak heartwood, they leave visible tunnels. Wood borer tunnels are easily identified by the oozing sap and sawdust-like frass near the tunnel's entrance. Heavy infestations could scar the tree or girdle and kill small limbs. Red oak borer damage is often exacerbated by the diseases or other insects that enter the tree through the borer tunnels. Physically remove the wood borer larvae. Wood borer larvae hatch and feed a few weeks after they are laid in late summer and will continue to feed for the next year. Identify the pinhole sized hole entrance in the tree. Insert a straightened wire hanger or other long, sharp implement into the 6-inch to 10-inch tunnel repeatedly to impale the white or cream colored, fat wood borer larvae. Spray the red oak with an insecticide scheduled for use on red oak wood borers. Follow the manufacturer's instructions for application rates and amounts. These are contact insecticides designed to kill adult borers before they can lay their eggs. All of the tree's bark must be coated in order for the insecticide to be effective. Spray for red oak borers in the last week of June--a week or so before the earliest borers lay their eggs. 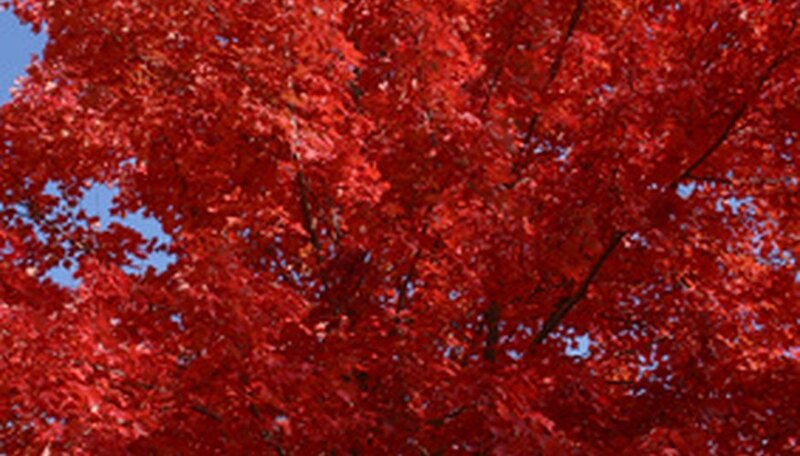 Re-spray the red oak every 3 to 10 weeks (the intervals will be dictated by the manufacturer of the insecticide) until the egg-laying season is over in early October. According to Texas A&M entomologists, spray insecticide will likely have to be applied every egg-laying season indefinitely. They recommend tree removal as a more environmentally and economically sound option for repeatedly infested trees. Healthy trees are better able to fend off wood borer infestation. Wear clothing that provides full coverage and eye protection when spraying chemicals. To avoid accidentally spraying other plants, spray on a day when the wind is blowing at less than 7 mph.